The Fire Ball ride at the Santa Cruz Beach Boardwalk was shut down late Wednesday night hours after a deadly incident involving the same ride at the Ohio State Fair. Bob Redell reports. 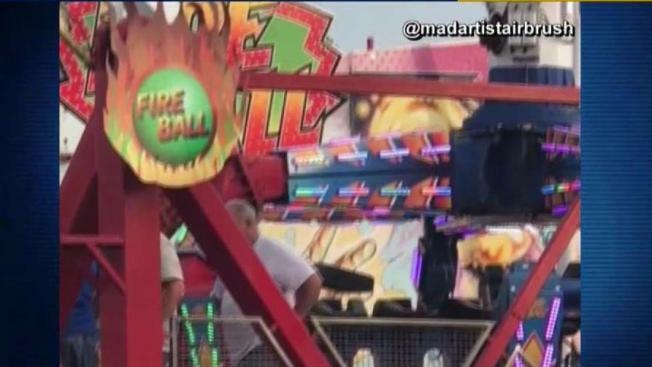 The Fire Ball ride at the Santa Cruz Beach Boardwalk was shut down late Wednesday night hours after a deadly incident involving the same ride at the Ohio State Fair. One person died and seven were injured Wednesday when the Fire Ball broke apart and hurled riders through the air on opening day of the Ohio State Fair. Officials with the Santa Cruz Boardwalk said they closed down the ride out of an abundance of caution, and after a morning inpection, it likely will reopen Thursday. Boardwalk spokesman Kris Reyes said officials were planning to inspect the ride Wednesday night, but darkness made it more difficult. So the park will inspect the ride Thursday morning in addition to the usual daily check. The Fire Ball ride at the Santa Cruz Beach Boardwalk was shut down late Wednesday night hours after a deadly incident involving the same ride at the Ohio State Fair. Sergio Quintana reports. There are key differences between the Santa Cruz ride and the one in Ohio, according to Reyes. The Fire Ball at the Ohio State Fair is portable, which means it can be taken apart and moved from one event to the next. "Our ride is a fixed ride, a permanent amusement ride," Reyes said. "It’s inspected daily as state mandated. California has some of the most stringent ride safety rules in the world." Operators at the boardwalk also plan to talk with the manufacturer to see if there’s any special adjustments they need to make after the horrific accident in Ohio. 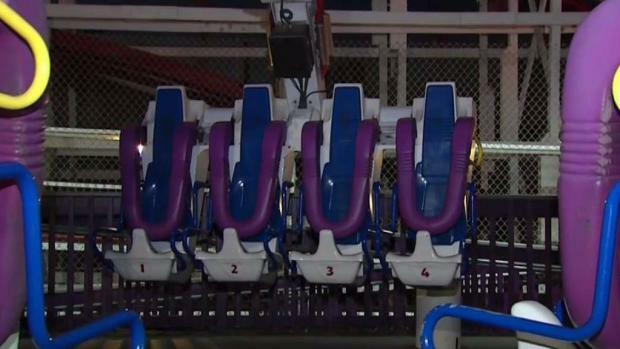 The man who was killed was one of several people who were thrown when the ride malfunctioned, a Columbus, Ohio, fire official said.